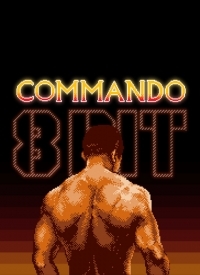 Box Text: 8-Bit Commando is a run and gun platformer with fast-paced action, a rocking soundtrack (from the chiptune artist Ozzed), local multiplayer and explosions. The graphics will take you back to the classic age of gaming and the gameplay is bound to challenge even the most seasoned vets. This is a list of VGCollect users who have 8-Bit Commando in their Collection. This is a list of VGCollect users who have 8-Bit Commando in their Sell List. This is a list of VGCollect users who have 8-Bit Commando in their Wish List.